The Tamil cinema industry is among the biggest in the country, with more than a hundred films getting released every year. Perhaps this astonishing number is only rivalled by the number of people claiming to be reviewing authorities. The sheer number of reviews for a big film is astounding, as more and more people continue to bite into this segment, and look to monetise the large interest surrounding these films. There is, of course, no denying that reviews have an impact on the audience, and as a result, influence the box-office prospects of a film. Films are personal experiences too, and this is why unfavourable reviews receive such polarising feedback from viewers. More recently though, even production houses have acknowledged the influence of these reviews by responding with outrage against scathing reviews. The same production houses have, however, been quite happy to use reviewers and trackers to their advantage, with a good chunk of their promotional budget dedicated to social media publicity. 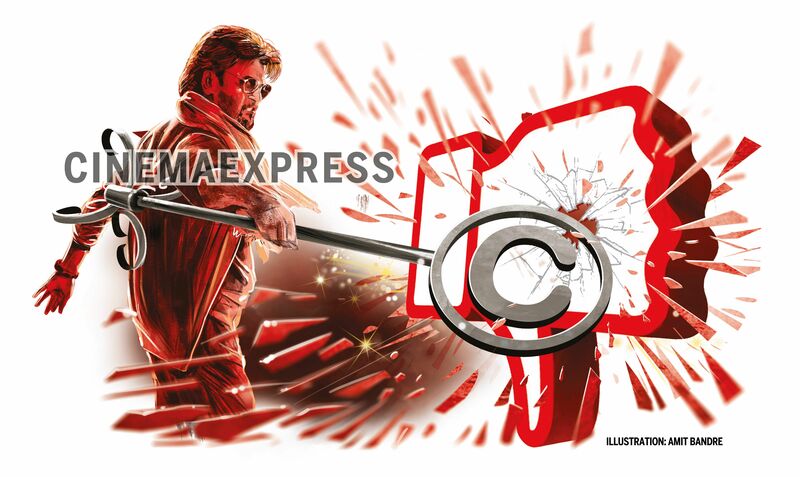 Last week, Sun Pictures was supposedly responsible for a popular YouTube review of Petta being taken down, owing to ‘copyright infringement over the reviewer’s use of the film’s poster in his video’. As you may have guessed, every reviewer online uses posters of the films, but it seems only the unkind reviews face this issue. This picking and choosing targets isn’t to be thought of as a problem, according to Shahir Muneer, director of Divo Digital Media Company. "It is up to the production house to decide when they want to claim copyright infringement. They are legally allowed to do so and it is their prerogative to decide on the course of action," he says. Netizens and scores of online reviewers are at loggerheads on whether this gesture is to be welcomed. Explaining the due process of such copyright claims, advocate MV Swaroop says, "Every frame, every visual, even the font type of the title is copyrighted content. A production house is very well within the legal ambit to initiate proceedings to take down such videos." In agreement, Shahir adds that many television channels now play music or clips only after obtaining the required licenses. "Even if the licences are not directly obtained, the filmmakers do pass on images and videos to various media organisations through designated PROs, which in effect stands as an authorisation from the filmmakers," explains Shahir. Every reviewer, analyst, critic, either backed by a news organisation or operating as an independent user, relies on the fair use principle to obtain and use such copyrighted content. Kishor Lakshminarayanan, creator of the YouTube channel, Moving Images, faced this problem recently, when YouTube took down his videos, following copyright infringement complaints from a production company. "The fair use doctrine allows unlicensed use of any copyrighted material for certain uses—such as criticism, comment, news reporting, and research—to name a few," he explains. However, his own run-ins with copyright infringement claims from multi-channel networks, is one of the many stories that do the rounds about how the fair use principle is not exactly recognised by the powers that be. His videos, which he calls, "use of artistic work for the purpose of research and criticism," have been constantly taken down by YouTube after infringement claims, and have been brought back after he filed a counter-notification explaining his intent for using such copyrighted videos. While many YouTubers face such issues with their videos, more often than not, the root cause of this is money. "Every content of ours has a unique ID, and any time a user's content has our fingerprint, platforms like YouTube send us a notification, and we are left with mainly two choices: Block it or monetise it," reveals Shahir. But what about the scores of Instagram videos or Whatsapp statuses, filled with visuals from early shows? "We allow that because the fans celebration at the hero introduction or a song is a popular marketing tool," shares Shahir, who reveals that they do their best to take down videos, which have extended sequences or important scenes. There are also opinions that online reviews are getting carried away, as some of the more popular ones are known to make personal comments on the stars, and also often, reveal the plot while reviewing a film. However, Swaroop advocates caution in getting outraged by this. "Once you watch a film, there is nothing stopping you from giving a shot-by-shot analysis of the entire film too. There is nothing illegal there, but the ethics of it is a different question altogether." While the extent of fair use principle is still a grey area when it comes to Indian Copyright Law, both Swaroop and Shahir debunk the myth that a maximum of 10 seconds of copyrighted visuals can be used. "The moment you upload copyrighted content, you can only hope your video is not taken down irrespective of the duration of the content used," says Swaroop, citing the example of the video channel Parivadini, which after repeated run-ins with various audio labels, finally relented and allowed them to monetise the videos, which are live recordings of Carnatic music concerts. However, it is not that easy either as every user-generated content in the digital space takes a lot of effort, and monetising it is very much an end goal. "I spend almost 100 hours on every video I upload in my channel. I invest in research, breaking down the video, editing my film essay, and adding my own work to the final product. It isn't easy, and such take-down notices don’t make it all any easier," says Kishor, adding that his story should serve as a lesson for other YouTubers to understand the nitty-gritty of surviving in the digital space. While there always will be multiple sides to such stories, the ball is almost always in the court of the powerful — in this case, the content owners. If not anything else, there needs to be some sort of uniformity in the copyright claims filed by them. If a positive video about a film is left alone despite supposed infringement, then taking down a ‘negative’ review only reeks of pettiness. After all, as Kamal Haasan once said, "Cinema is the world's biggest democracy," and isn't freedom of expression one of the very foundations of democracy?